First of all Barcelona is famous for its football culture, great football team and “Camp Nou” stadium, but since hosting Olympic games 1992 there are number of different high quality facilities for various activities. 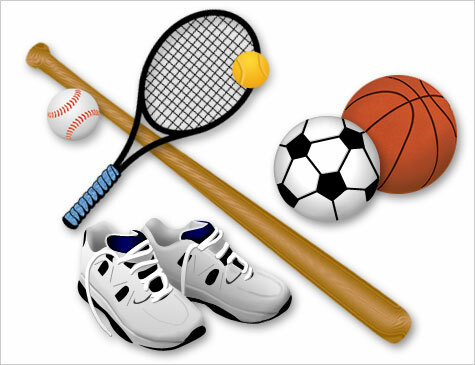 I will list some of the most popular sport activities in Barcelona in this post. Football is more than just a sport in Barcelona, especially for football fans and major football events attract a lot of attention. Camp Nou seats 99,354 people, but sometimes even this is not enough, so consider to book tickets for important games like “el Clasico” in advance. Barcelona has two main football clubs: FC Barcelona and RCD Espanyol. Espanyol plays in the Estadi Cornellà-El Prat with seats for 40,500 spectators since 2 August 2009. FC Barcelona is on of the world’s most successful clubs having won twenty Spanish “La Liga” titles, twenty-five Spanish Cups,nine Spanish Super Cups and 10 different UEFA trophies.In 2009, FC Barcelona won six out of six competitions it participated in, thus completing the sextuple. Basketball is one of the most famous sport types in the world and Barcelona is not an exception.FC Barcelona Bàsquet was founded on August 24, 1926 and is part of the FC Barcelona family. In 2003 it completed a Liga ACB, Cup and Euroleague treble. FC Barcelona Bàsquet has played in seven Euroleague finals, with the last being their 2010 win.The team plays its home games at Palau Blaugrana. Cycling is a favourite sport of Spanish people particularly in Barcelona, where it is both a national sport and pastime. In May the ‘Bicycle Fiesta’ is held and then in September there are more races with an international cycle race to Montjuïc Castle and there is also the Mercé festival, with more cycling events in Barcelona.Also Cycling is one of the ways of entertainment for tourists and there are a lot of cycling tours organized throughout the city as well as neighborhood. There are several well-equipped fitness centers in this city, with fitness and weight training, aerobic courses, personal trainers, saunas, swimming pools and massage. Most gyms and fitness centers in Barcelona are open daily. All sports I listed before are professional ones and that might be less entertaining for those tourists who prefer to participate and play by themselves, but in Barcelona there are plenty of sports for them as well.For example,in summer you can walk along the beach in Barceloneta area and see how many activities are available and how many people are playing from children to old people, playing such games as beach volleyball and beach football. Also you can find activities like a bumpy banana boat ride, an hour’s sea kayaking and then Parasailing and for some more ideas check out LifestyleBarcelona. Staying in Barcelona and want to do some sports? Renting a Barcelona apartment is a good option as you have the privacy and freedom to come and go as you please. Whether it is a beach apartment in Barcelona for early morning swims, or an Eixample apartment for jogging sessions along Diagonal, or a Ramblas apartment in Barcelona for easy access to a variety of gyms, you are sure to find somewhere fun to keep fit! This entry was posted in Activities and tagged barcelona, barcelona basketball, barcelona guide, football in barcelona, sport. Bookmark the permalink.